If you’ve ever delved into the world of home canning, you probably know how much information is out there: recipes, tips, how-tos, what to avoid. While it’s not an overly complicated process, it’s important to do it right. So whether you’re a newbie to canning or have done it a few times already, read on for some canning basics and tips to keep in mind. If you fit into the newbie category, you may be wondering exactly what canning is. Canning is a method of preparing food by applying heat to it in a closed glass jar. This process removes all air from the jar to create a seal which eliminates any bacteria, mold or microorganisms that could cause natural spoilage. 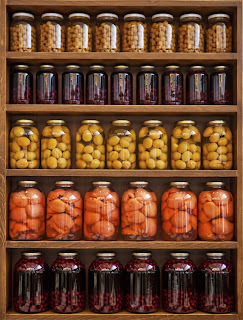 Canning first developed as a method for preserving food during the late 1700s – Napoleon Bonaparte’s troops needed sustenance over the long months at battle, and this process became their go-to method. However, it wasn’t until around the 1950s, when the Mason jar was invented, that canning gained popularity in the U.S. The Mason jar was the first reusable jar with a screw-on lid and made it easy for the masses to give canning a go. Later on, as full-service grocery stores became the norm, canning dropped off – but these days, it’s making a comeback as people are more interested in what’s actually in the food they’re eating and the safety of it. 1) Fill a clean jar with the food you’ve prepared. 2) Apply the flat lid and threaded ring to the jar. 3) Submerge the jar in boiling water for the prescribed amount of time (the amount of time depends on what you’re canning – the recipe you use will specify – and the time will start as soon as the water is boiling again). 4) Remove jar from boiling water to cool. When you remove the jar from the boiling water, the heat escapes, bringing any remaining air inside the jar with it. As the oxygen escapes, an air-tight seal is created. This air-tight seal is critical in keeping your food safe for consumption. 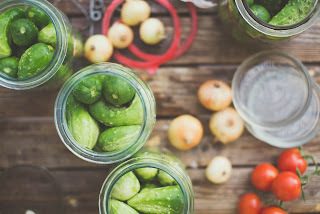 Water bath canning – a shorter, lower-temperature canning process best for high-acid foods like fruits, salsas, pickles; these jars can go right to boiling to kill anything that might spoil your food. 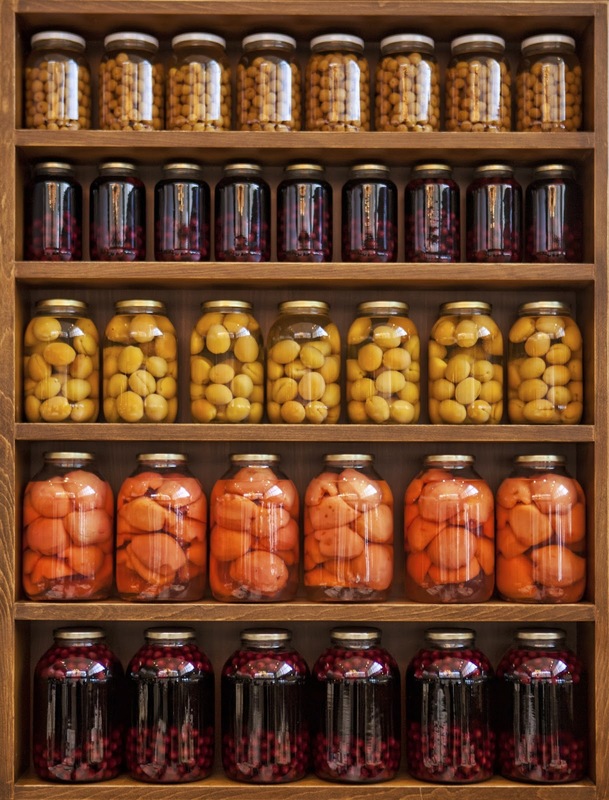 Pressure canning – a longer, higher-temperature canning process best for low acid foods such as meats, stews, vegetables; this involves the use of a pressure canner rather than a cooker because pressure canners can reach the 240° necessary to kill everything that might spoil your product. With either method, when done properly, your food will keep for up to about one year. One word of warning – you may find information out there about the open kettle method. This method is dangerous and should not be followed as it does not call for processing. Now, perhaps the open kettle method worked for your grandmother, but the temperatures don’t get high enough to destroy all food poisoning organisms, so it’s widely recommended to avoid this method entirely. And for any other supplies that might come in handy, check out our canning supplies page. Always use fresh ingredients that aren’t overripe as well as a recipe from a reliable source (and follow that recipe as closely as possible rather than adding extra spices, butter or extra quantities of any ingredients). Thoroughly clean your lids and jars before filling them with your product; to do this, the jars can be placed in your pot of water and brought to a boil and your lids can be placed in a saucepan with water that’s brought to a simmer. As you’re filling your jars with product, leave some space between the top of the food and the top of the jar (the recipe should specify how much space). Wipe down the rims of each jar with a clean, damp paper towel or dish rag. Once your jars are in the cooling stage, you should hear pings from the air-tight seals being formed; the lids should also become concave in the center, which means a vacuum seal has formed – if this doesn’t happen, treat those jars as fresh: Pop them in the refrigerator and eat them soon. Avoid reusing the flat lids and also don’t use lids from commercially canned foods – although it’s okay to reuse the screw bands, as long as they’re still in good condition. At altitudes over 1,000 feet, you’ll want to increase water submerging times. This can all sound complicated, but it’s really not too bad once you give it a try. And the result: your very own self-canned foods for the coming months, for you and perhaps your friends and family, too. Enjoy!